I've been raving a lot about Fiero, who I think have approached the whole retro 80s sound with a twist by borrowing more from mid-80s American R&B than early 80s italo synths. That means more funk and more electric guitar solos, and that's always fresh, right? Another band that I put up there as the stars of Quincy Jones electro is Oliver, a duo comprised of Oliver "Oligee" Goldstein and Vaughn "U-Tern" Oliver. I've been listening to and playing both their awesome remixes and their even more awesome originals for quite a while, the favourite being the slow but ultra cool "Walk With Me". The latest track they've made is "I Need You", which they will give away for free when it hit 20.000 plays, so put it on repeat people! Follow Oliver on Twitter and Facebook. Last Friday Justin Faust released his new EP "Girl Talk" on Discotexas. Bad timing, since we're amidst the summer holidays. Or at least I've been. Then again, Jonny would probably argue that I've been on vacation since around February. On the upside I had the opportunity to meet up with Justin in Munich where we talked about the EP (and of course how much we're looking forward to the new Jersey Shore season). Not surprisingly he was very happy with the EP; both his originals and the remixes. It seems we, him and the Discotexas people aren't the only ones since it went straight up to top 5 on Beatport's Indie Dance/Nu Disco chart. Well deserved! To me, G.L.O.V.E.S' remix narrowly edges out Bit Funk's and Herr Styler's strong remixes as my favourite of the bunch. Great to hear some new stuff from one of the true great Australian acts. Let's hope he pulls a Bag Raiders very soon. If he does we'll try to convince him to end his World tour in Stockholm, oh let's say next spring? Of all the great music we should write about but end up not writing about (since we really need to hire some interns), Discotexas' last release with Lazydisco needs a mention. 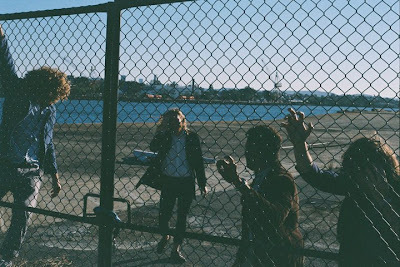 Lazydisco made that awesome remix of Toro y Moi last winter remember? The EP contains more of that smooth and funky lazydisco, plus some great remixes. After this little round-up we are happy to spread the news that our Polish darlings Kamp! will release their next single on Discotexas. That's something to look forward to! Fantastic Bag Raiders, that we booked to our club Virgin Ears in Stockholm this spring, are now on the road in the US and Canada together with our UK love Ellie Goulding. Lucky people! Ellie won't be with Bag Raiders on all the shows but some of them in the beginning. So New York, Toronto, Royal Oak, Denver and LA are the one's that get Ellie too. After August Bag Raiders are off to Europe again and also dates in Asia, South America and Australia are booked. Along with this tour Bag Raiders give away the Eli Escobar remix of "Not Over" from the remix release of "Not Over" to be released next month with remixes from above mentioned Eli Escobar, Tony Senghore, and Softwar. Our old friend Testarossa continues to give us these amazingly produced freebies in high quality. Today we got two of these goodies for you here at Tracasseur. But yesterday Testarossa launched his new fan page (he hadn't one before, this crazy guy?!) and over there you can get hold of more nice tracks for free and always be in the loop when he's up to something. So the tip of the day is to head over to Testarossa's fan page, press Like, download some more good tracks and then keep track of Testarossa's moves in the future. I think "We Have Disco" is a real masterpiece and "Boogie Night In Paris" is a track that I know Testarossa himself is very pleased with. Enjoy Testarossa! 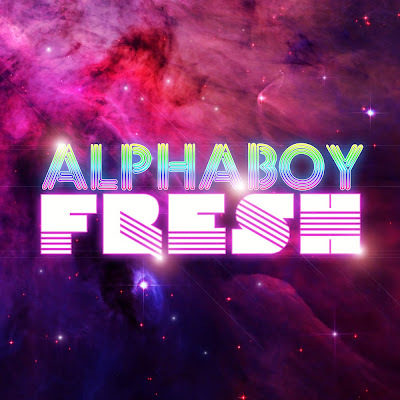 We wrote about young Berliner Alpha Boy back in November last year and how he was spreading his 80s flavoured tracks with inspiration as likes as Kavinsky and Multipac. 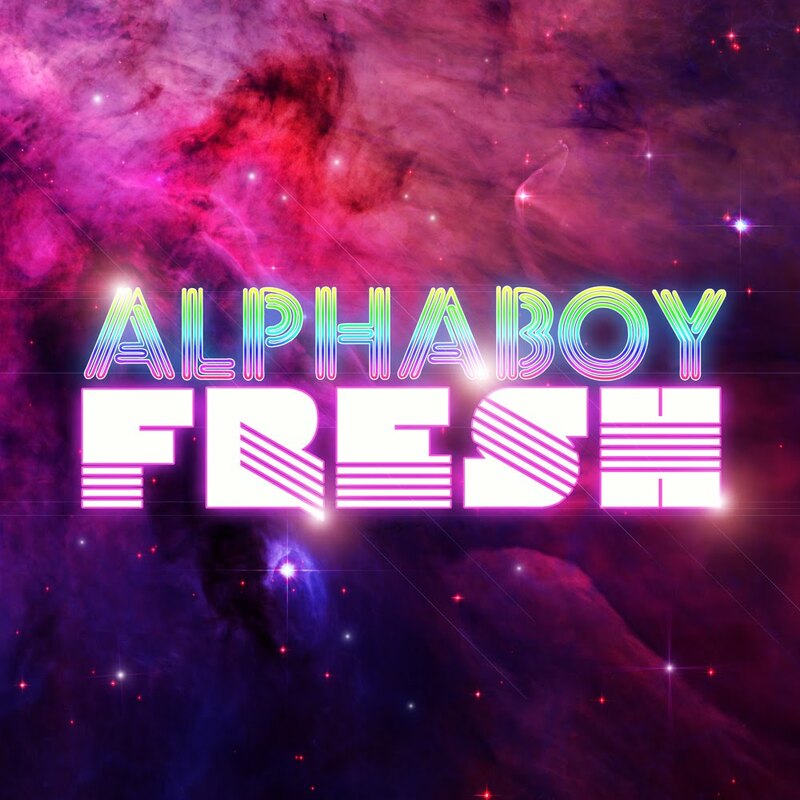 Now he's back with a new EP named "Fresh", and it's for free. "Fresh" contains four tracks all coloured in pink and purple haze from the 80s. The biggest difference from earlier work is the smoother sound. It's a more quiet approach and the inspiration now lies closer to Miami Vice outros rather than Kavinsky. Another improvement is also the production, really solid. I like how this guy evolves in a positive way, because we and many others liked him already back then. One of our new favourite girls is Kimbra, one nice voice from New Zealand. Maybe New Zealand is the next thing after Australia and Canada. Leno Lovecraft is for example one big thing from the NZ island. But focus on Kimbra and the two fine remixes of "Cameo Lover", taken from the forthcoming album "Vows", that we got from her earlier today. And it's two Tracasseur faves that made these remixes, G.L.O.V.E.S and Shook. Enjoy! Bonus: the other day we wrote about the Aussie trio RÜFÜS and they have made a re-edit of a Gotye track featuring Kimbra. 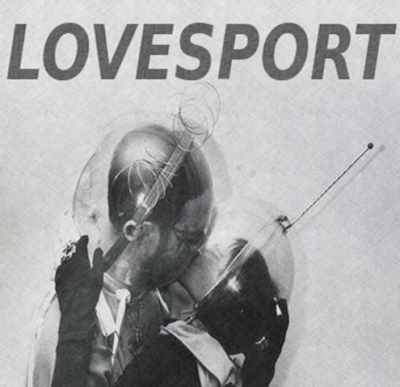 Say hello to Lovesport, a new and still unsigned duo from NYC consisting of Ben and Julian. I believe that record labels soon will fight to get their signature on a contract. This first track "Chase" that I heard from them, got me really interested and I got the chance to listen to a new remix they just had finished for a well-respected Swedish act, that release is still not sure when to be released, so I can't really say more than it was as ace as "Chase". Lovesport also told me that they got a new hot remix for the the new Hey Champ! 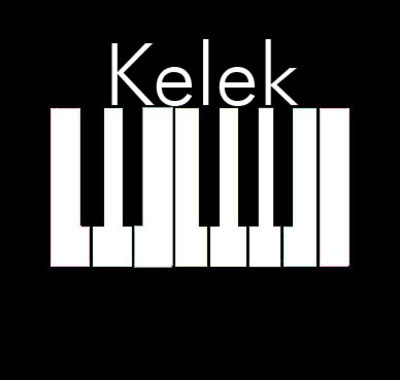 single that is about to come soon. But until then we can put "Chase" on repeat and you should also join their mailing list over at their Bandcamp, for that you also get "Chase" for free in which sound quality you prefer. Here below we only give you the track in 320 kbps. 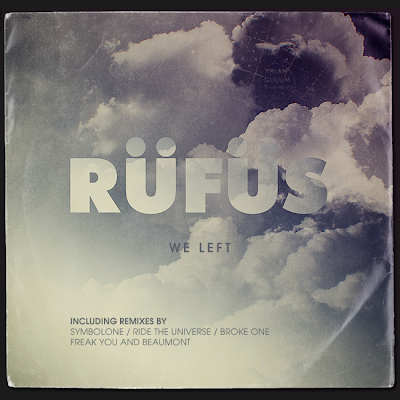 Australian trio RÜFÜS have today released a new remix EP for their great track "We Left" via the French label On The Fruit Records, that we of course love for their fine work within the electro disco. "We Left" is an awesome track that we got a tip about already in January from Franck You (owner of On The Fruit). Since then we've been following RÜFÜS to see what they will come up with, and we knew that they would make this remix EP. It's a really solid remix EP with great remixes from all people involved. Thanks to Ride The Universe, Beaumont, Broke One, Freak You and SymbolOne. Especially we actually love the SymbolOne remix the most and that's the one that they give away for free in 320 kbps today. Perfect day! Amazingly beautiful video for Young Galaxy's amazingly beautiful "Blown Minded". The artist/film maker Carine Khalifé made it with oil paint on top of a piece of glass with a light box underneath as only light source. They paint never dried so therefore she could play with the paint for hours. Fine work! And as we already have announced Young Galaxy's album "Shapeshifting" as one of the best one to come this year, you should get your copy over at their label Paper Bag Records. Today Patrick Alavi released his first single "Peace" taken from his forthcoming debut album "Beachghettoblasta". You can preview the track here below and buy it exclusively on Juno Download. "Beachghettoblasta" was actually planned to be released already 2007 but Patrick wasn't happy with the sound and the release got postponed. Since that he's worked a lot with recordings and even created his own analog gear in the hunt of get his vision right for the album. 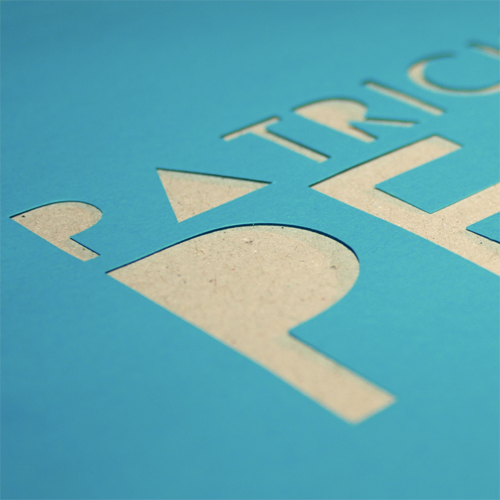 "Peace" is one first good vision from Patrick Alavi. Our fine French friends of the record label Maman Records is about to visit Sweden for a mini-tour. In three days they will visit Malmö and Stockholm for some special shows, where they bring Leno Lovecraft (NZ), Greatest Hits (US) and Collateral (FR). If we start off with the night in at Loyal in Malmö this Thursday, July 21 the night will also hold a Japanese VJ named Misaki Kawai. We know it's gonna be a night filled with great sound and visuals. Tracasseur-fans of Malmö, we recommend you visit this party! Then on Saturday, July 23 the whole crew fly up to us here in Stockholm and we will join them in the dj-booth at Debaser Medis to make the night in Stockholm even better. The Maman crew visit the joint club Tom Tom Shape Up! that is a mix of Tom Tom Disco and Shape Up! ran by the beautiful people Richard Testarossa and Nina Kienast. Tracasseur-fans of Stockholm, we so recommend you to visit this party! ...and more from Greatest Hits here and order his records here. When Australians do music, it's almost superb every time. When you put together two Australian acts and make one of them remix the other one, it must be superb x 2? Maybe not that extremely superb but when Softwar take on Mitzi's "Morning Light" it's pure magic. 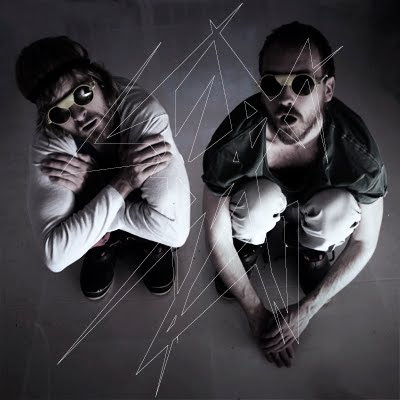 Swedish duo STYGG, that we've written about before with their previous single releases are now back with their first full-length album "Get Thee Behind Me Satan". It was released only a couple of days ago and you can find it on Spotify so far and soon on iTunes (we will let you know when it's up there or you can follow STYGG on Facebook). A lot of cool people have remixed their earlier tracks "Envy", "Sleep" and "Lunacy", or what do you say about Owl Vision, F.O.O.L., The Integrals or FCKN Crew? And with this album release STYGG also start their own label Voz Alta Records, where they will continue release good music from friends and others. And for those who're interested, the saying "Get Thee Behind Me Satan", is the reply of Jesus when tempted by the Devil. 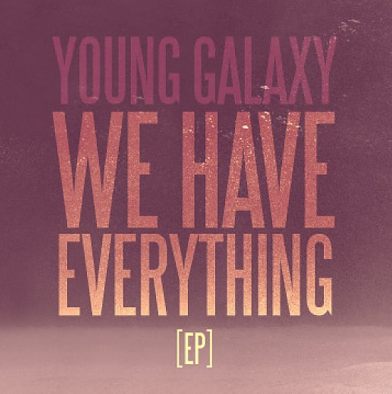 One of the best indie dream pop bands in the world is Young Galaxy from Canada. And recently they were so gentle that they gave the EP "We Have Everything" for free over at their label Paper Bag Record's site. The EP only consists of remixes of "We Have Everything", from one of this year's best albums "Shapeshifting". Remixes come from Grimes, Unknown Mortal Orchestra, Blue Hawaii, Adam & The Amethysts and Cotton Mouth. We give you two of them right here below along with the original, but if you want to grab the whole EP with all the remixes you should head over here and sign up to get Young Galaxy's newsletter plus the rest of the EP. Too many months since we last wrote about Tracasseur faves Monarchy. So this will be a kind of round-up for their last adventures with remixes from the single "I Won't Let Go" and the release of their debut album "Around The Sun". 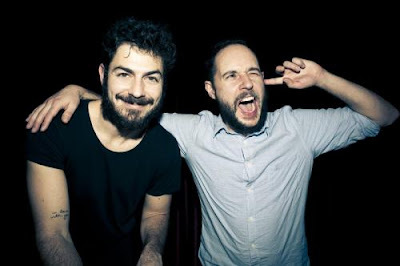 They released the single "I Won't Let Go" in April and we posted the original track in March and revealed that the remixes would come from Bag Raiders, Mustang and Sam Tiba. Love the Bag Raiders remix that put some 90s touch into Monarchy's pop sound. 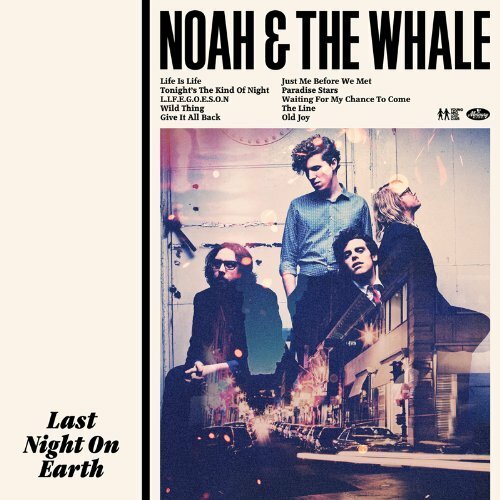 Noah and the Whale remixes from "Last Night On Earth"
One of my absolute favourite indie bands in the world is Noah and the Whale from London. Two years ago they released the perfect album with "The First Days Of Spring" and in March this year they released their third and latest studio album "Last Night On Earth" and it's as perfect as its predecessor. So many brilliant tracks, you should get your copy here. So far, regarding to my sources, there's not so many remixes made out of the tracks on the album yet. 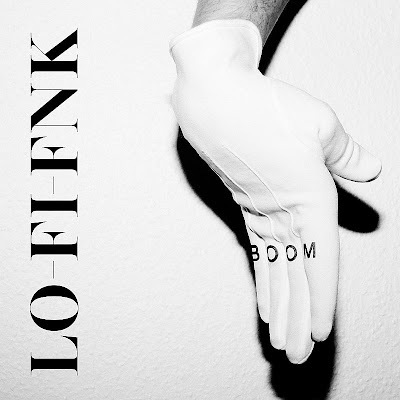 But the other day I got my hands of a superb remix from Yuksek. 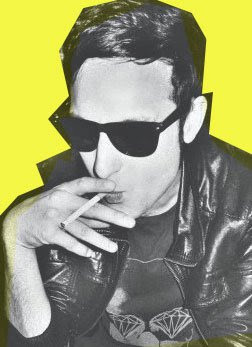 The Frenchman make "Life is Life" into a indie dance track, and it becomes as good as the original in a complete other way. Classic remixers RAC have also put their skills into remixing "Tonight's the Kind of Night". It's a nice remix that sounds like a RAC remix, and that's nothing bad about that, because I adore everything that the RAC people do, this one by André Allen Anjos. A little harder and the remix that is most different from the original track is the remix of "L.I.F.E.G.O.E.S.O.N." from Fake Blood. 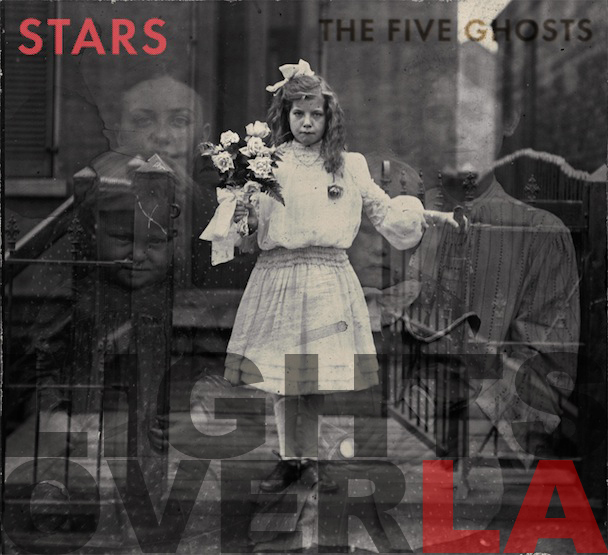 Bonus: As there are no more remixes from "Last Night On Earth" so far we give you some older favourite remixes from "The First Days Of Spring" that we've posted before, but these one's always deserve attention because of how good they are. The Yacht remix is absolute ace! Hello Serbia and Exit Festival, we are back! Or at least we're on our way down to you again. 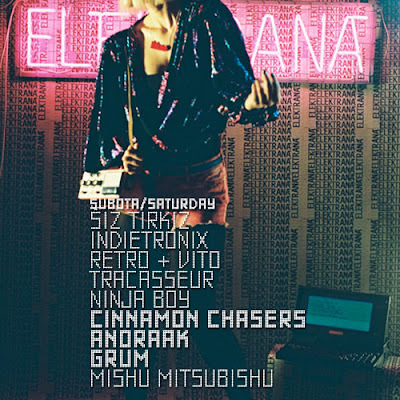 After last year's phenomenal festival and our fantastic gig at the Elektrana Stage we are back to do it this year again. Yeah! Once again the great people behind Elektrana have managed to book the coolest name of this year's festival by booking Tracasseur faves Grum, Anoraak, Cinnamon Chasers and Futurecop! We are going to spend many hours at the stage of Elektrana. And of course we will also give you the best one's from our friends who will be sharing the same stage as us. As we say in Sweden: "Nu kör vi! ", could be easily translated into "Letsa go!" as Super Mario says but to us it's more like "Let's party until it was no tomorrow!" Join us! Cut Copy's next single off their "Zonoscope" album will be "Blink and You'll Miss a Revolution". Remix support comes from a whole platoon; Toro Y Moi, Chicken Lips, Das Moth & Kenji Takimi, Tornado Wallace and Henning Fürst. They'll all be available digitally on August 9 with 12-inches following soon after. Cut Copy will start the final leg of their worldwide tour with a pretty comprehensive US tour beginning on September 13 in New Jersey. The last show from this album will be in London on October 27. If you haven't caught them yet, you should if you still have the chance. Their shows even include supporting acts Washed Out and Midnight Magic. Dates are on their website. What could be better than go to bed together with this nice remix by LightsoverLA of the wonderful band Stars' "Dead Hearts" from last year. Big love and goodnight for today! 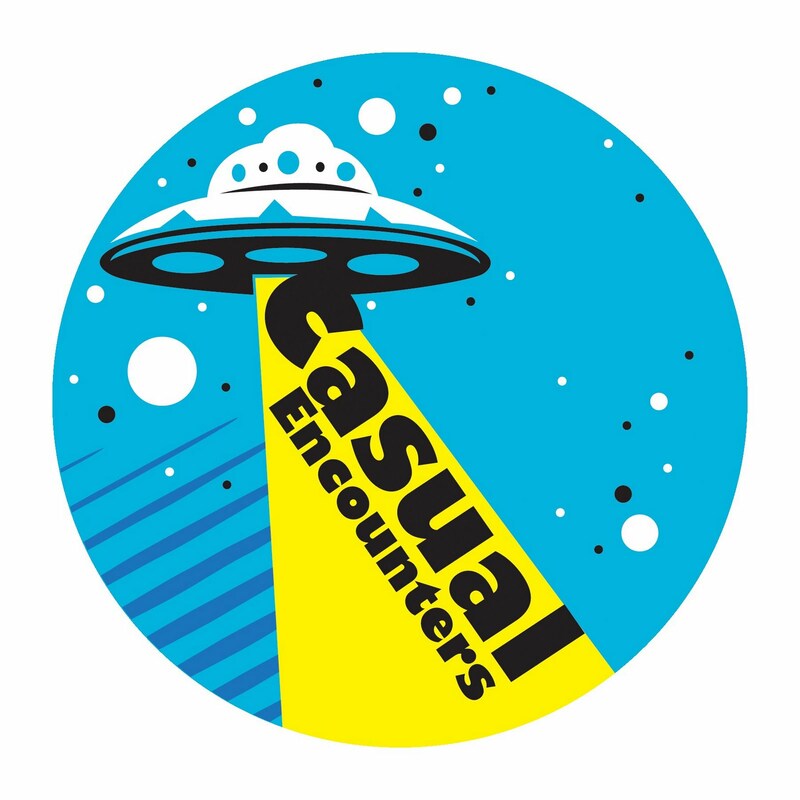 This meeting with Casual Encounters will include some mighty fine disco reworks and edits. Behind the duo Casual Encounters we find label manager Shawn Mac, who runs Space Walker Recordings that regular Tracasseur readers are well familiar with. We also find Chas Bronz as the other part of the duo. Together they do this funky cosmic disco touch of edits and reworks of both old disco tracks from 70s and 80s but also of newer music such as Dana Bergquist, and of course they also produce original tracks of their own. Today we will give you a couple of fine ones we got from these lads during a period of time. We got the latest edit today in Sister Sledge's "We're Lost In Music", so then it was the time for Casual Encounters. Hope you will have a pleasant encounter with their music!